Your Last Minute Christmas Card Guide for ArtRage! Left it too late and don’t have time to draw anything? Or just need the final touch for your very festive holiday card? 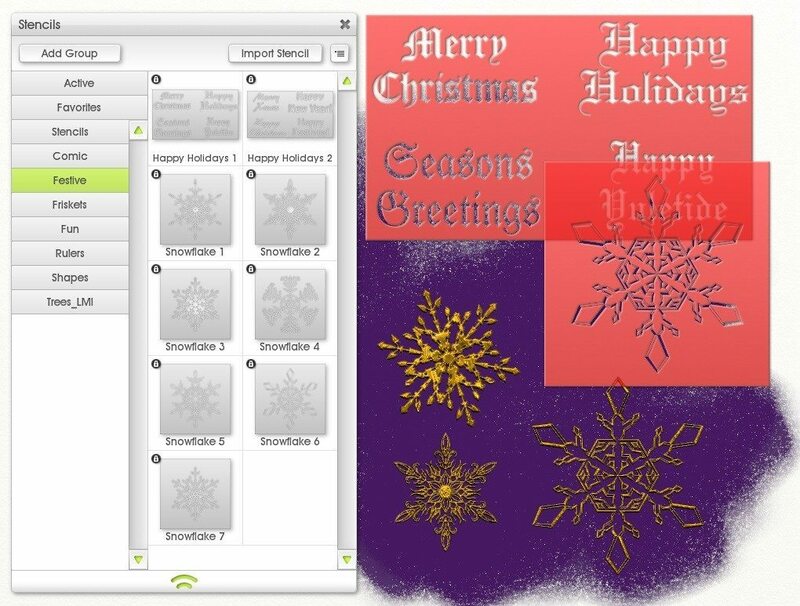 ArtRage for the desktop has a variety of Christmas-themed stencils and sticker sprays waiting for you to scrapbook them together into a last minute picture to email out to all your relatives. 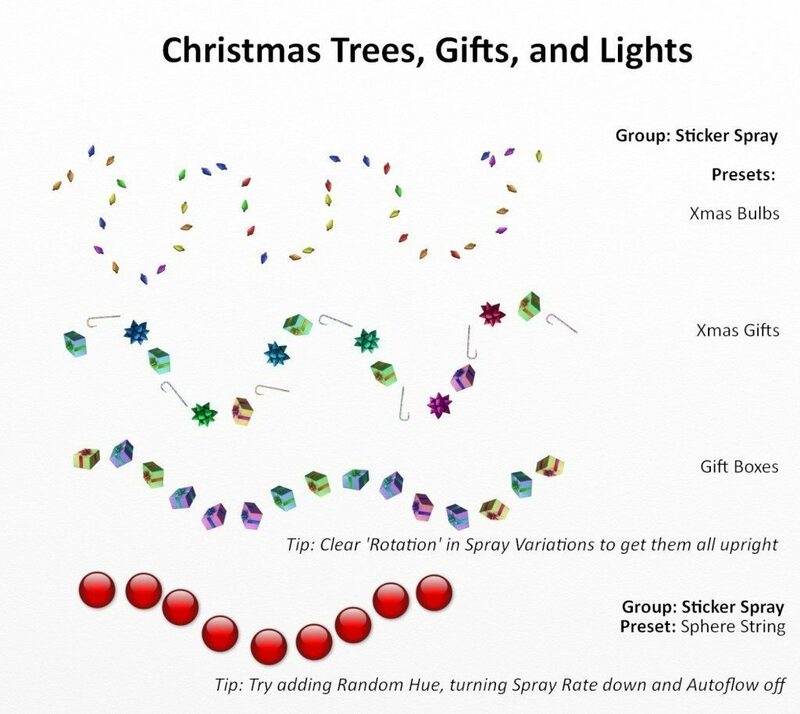 An ArtRage Sticker Spray Christmas Tree! There are eight different Christmas related text stencils in the ‘Festive’ category. There are also seven different snowflake stencils. 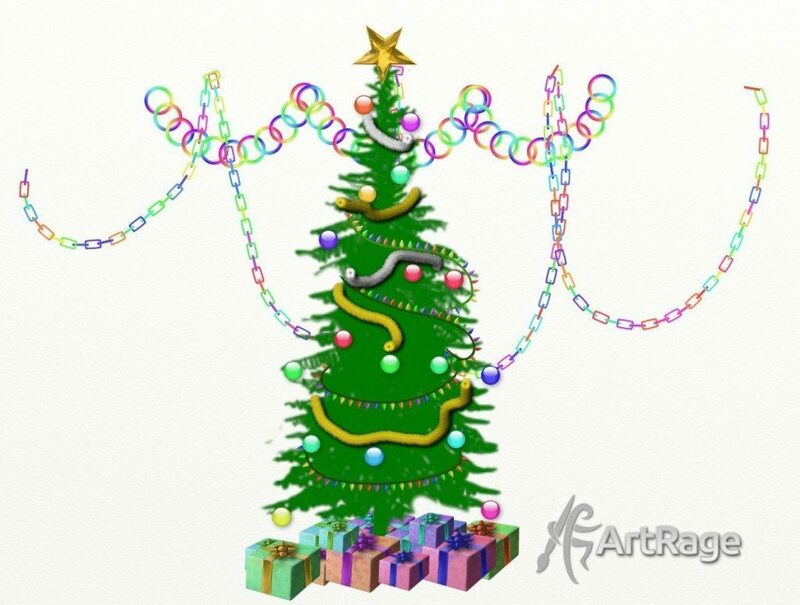 You can also download these Christmas themed stencils from DeviantART: (get the files for ArtRage 2 & 3 here). The stickers (individual images) and sticker sprays (custom brushes that use the sticker images) are a great source for last minute effects. 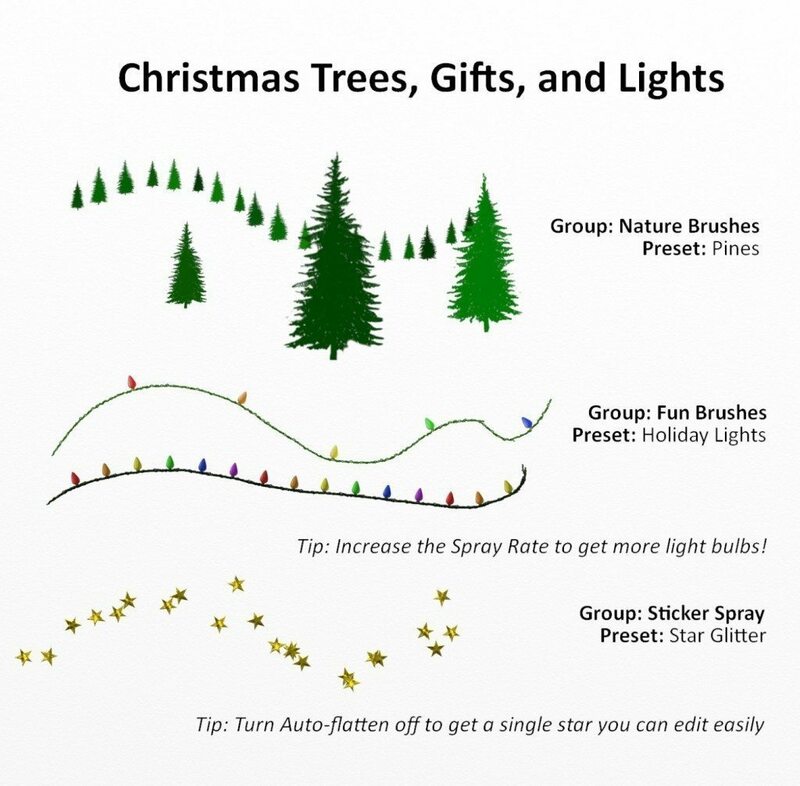 The examples below are all from the sticker spray presets, but if you don’t need multiple stars, baubles or trees, you can always find the source image in the Stickers and use it on its own. 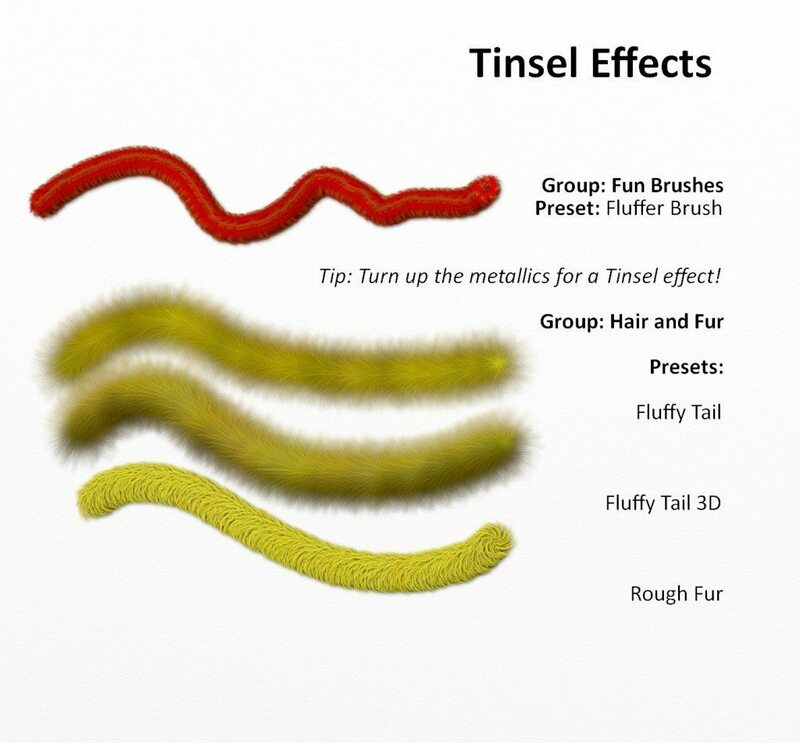 Editing the sticker spray settings will let you get much more out of each preset, allowing you to customize it to get exactly the effect you want. See the following tutorials for help getting started! Need more? 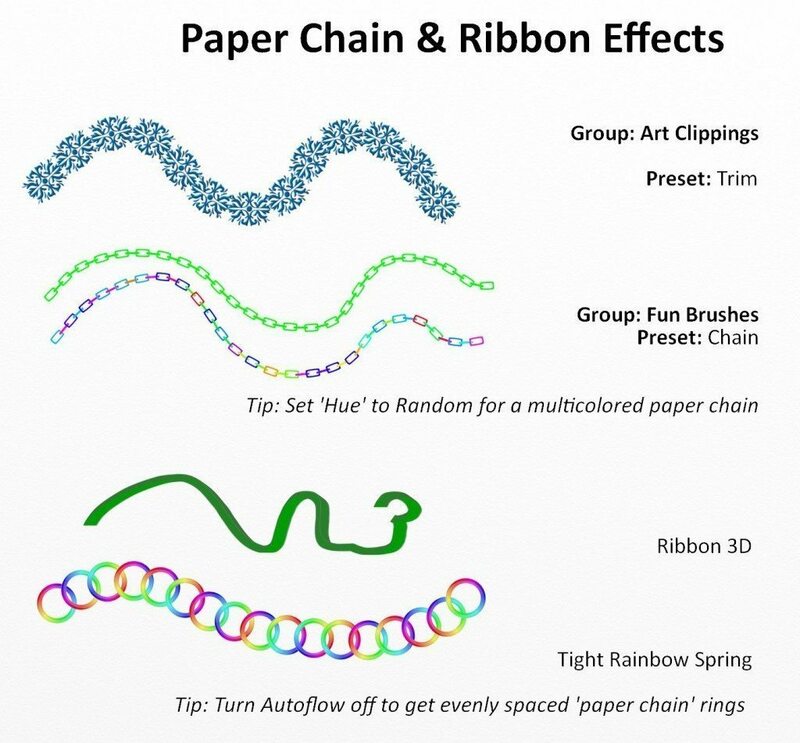 You can easily create your own custom stencils and stickers, and there are plenty of resources available from other users. Try our Art Supplies forum and see what else people have made!